You are currently browsing the archives for the day Wednesday, February 14th, 2018. Happy Valentine’s Day! As February, 14th is regarded as the day of love where you make an effort to express your feelings through various gestures or gifts, I would like to show my gratitude for your support with a Valentine’s gift you’ll love and you’ll definitely can’t live without once you have tried it. 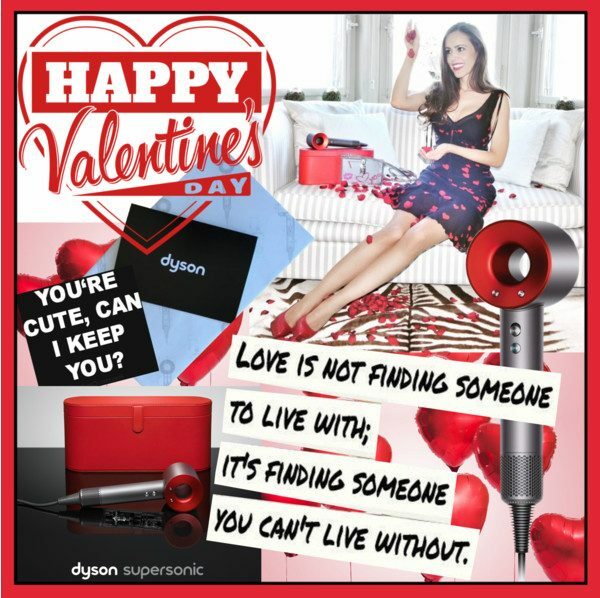 In collaboration with DYSON three lucky readers have the chance to win a limited edition Dyson Supersonic™ Iron/Red with red case worth CHF 479.00. Getting ready for Valentine’s Day: printed metallic leather box clutch by Dolce & Gabbana, earrings by Chanel, embellished satin pumps by Prada and my beloved Dyson Supersonic™. This hair dryer has made my life so much easier. It not only looks different, it works and behaves also differently than everything you have been used to. I have slightly curly hair but with this it looks smooth and shiny in an instant – I cannot recommend it enough, such a great gift idea! It helps prevent extreme heat damage to protect natural shine. Drying shouldn’t take forever. For fast drying you need controlled, high velocity airflow. Convention is turned on its head by putting the motor in the handle which is completely rebalancing the dryer’s weight and shape. 1. The Dyson Smoothing nozzle dries hair gently using smooth, wide air. 2. With the Dyson Styling concentrator, you can shape your hair one section at a time – without worrying about disturbing the rest. 3. The Dyson diffuser disperses air evenly around your curls, helping to reduce frizz and improve definition. Simply twist and release to clean the filter. To participate in the contest, please send me an e-mail with your postal address and the header «Dyson» to . All entries must be received until February 20, 2018. No purchase or payment of any kind is necessary to enter or win this contest. By entering this contest, entrants accept and agree to be bound by these official rules. The winner has to have a Swiss address. 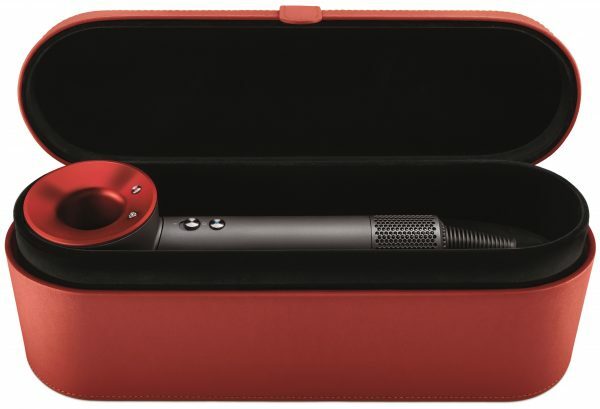 For more information or to shop the limited edition Dyson Supersonic™ Iron/Red, click here please.